Free disability forms refer to those that are required by disabled persons and can be obtained without any charges or fees. 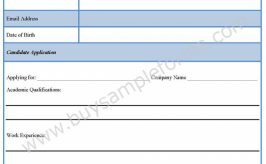 These forms should be filled correctly and accurately giving all the necessary information required for the purpose of availing benefits and exemptions. 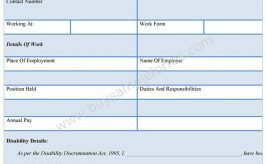 The form includes various sections regarding basic information of the disabled person and details of his or her medical condition which will be provided by a healthcare professional. 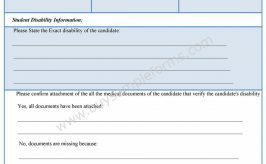 Free Disability forms are verified after submission so correct and true details must be provided for effective results. 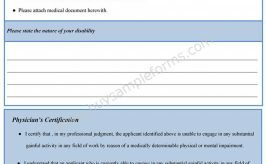 Below is a sample of Free Disability Form. You can download, edit and print sample free disability template available online. This template is available in MS Word and Editable PDF format.